After the 2016 Indian banknote demonetization, people began to depend more on cashless transactions compared to the previous years. The Digital India campaign launched by the Government of India in 2015 with an objective of connecting rural areas with high-speed Internet networks and improving digital literacy also played a major role in making aware of the people especially in rural areas about the advantages of digital payments and how simple it is. In December 2016. the Central Government introduced BHIM (Bharat Interface for Money) and intended to facilitate e-payments directly through banks as part of the above-said banknote demonetization and drive towards cashless transactions. Unlike other mobile wallets, the BHIM App is only a transfer mechanism, which transfers money between different bank accounts. 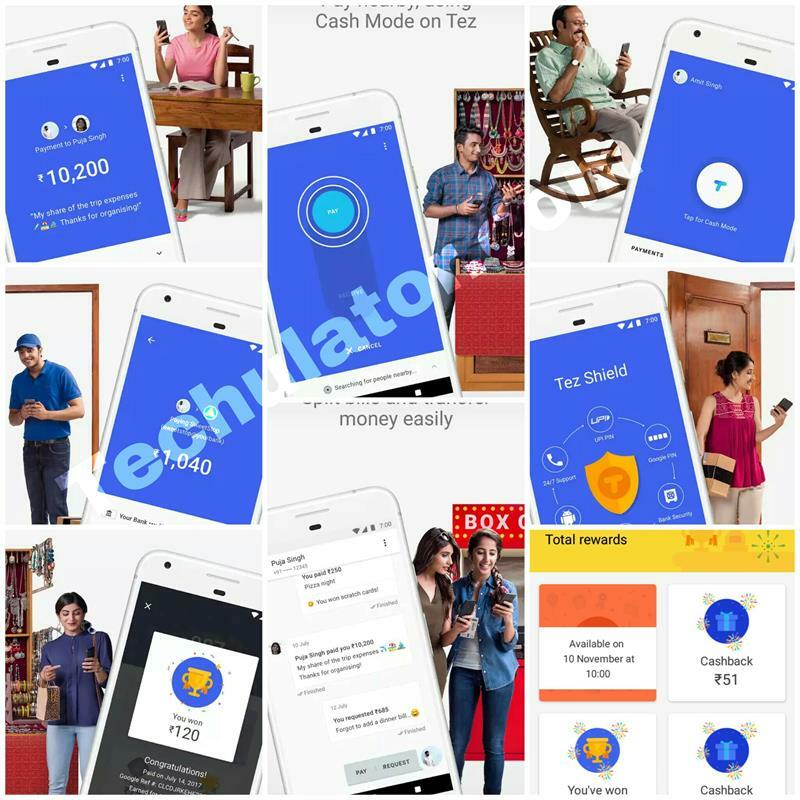 Today I am going to discuss a new member to this digital family named "Tez – A new payments app by Google" which works the same way as BHIM plus much more features added. Google Pay is a mobile payments service by Google LLC Finance targeted at users from India to send money to friends, instantly receive payments directly to your bank account etc. It operates atop the Unified Payments Interface, developed by the National Payments Corporation of India just like the BHIM and other e-Wallets. Google Pay users can instantly send and receive money where UPI payments are accepted. 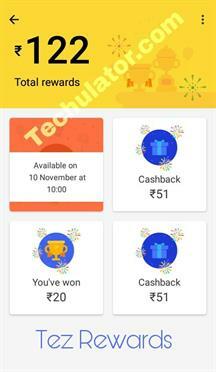 Plus, Google Pay is currently accepted by PVR Cinemas, redBus, and is expected to be joined by a number of other businesses like DishTV, Jet Airways, and Dominos. Google Pay is having a neat and clean user interface which makes the app simple and elegant. 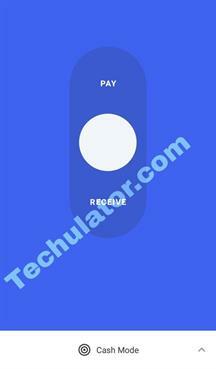 The initial screen is reserved for User Profile, Google Pay Cash Mode, and Payments. And especially I like the transaction history because it looks like a WhatsApp chat page, which is very neat and contains all the necessary information. User Profile:Where you can find and update your account related information such as bank details, phone number, language, security features etc. Google Pay Cash Mode:Which allows the users to transfer money without sharing any bank details, mobile numbers, or any other personal info. Payments:You can send money to New Contacts from here as well as you can also see the recently transacted contacts too. Under the payments section, you can find Rewards and Offers announced by Team Google Pay as well as all the details of all the transactions you did before. Transactions on Google Pay are nearly instantaneous and can be done 24/7 including weekends and bank holidays. Unlike mobile wallets like PayTM, MobiKwik, mPesa, Airtel Money etc which hold money the Google Pay App is only a transfer mechanism, which transfers money between different bank accounts just like BHIM and its one of the main advantage of this App. Google Pay's Cash Mode:It's a very new feature I have never seen on any other apps. With Tez's Cash Mode, you can instantly send or receive payments to anyone nearby without sharing personal details like your phone number or bank account. The feature allows the users not to share any personal information such as mobile numbers or usernames like other payment applications and, instead it uses Audio QR codes that rely on sound transmitted at a frequency inaudible to the human ear from the payee handset to the merchant handset. This technology does away with the need for NFC chips on the handsets and holds an additional advantage because a significant number of smartphones in India and other developing markets do not have NFC chips embedded. Using Google Pay App you can send the least of ₹1 to a maximum of ₹1,00,000, and 20 times in one day across all UPI apps. These values may vary based on your banks because your bank might have its own limits on how much you can send or receive. You will get more information regarding this by contacting your bank. 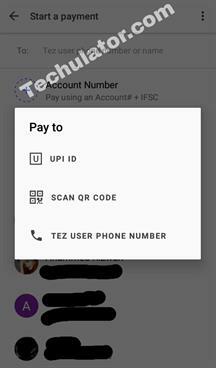 Tez uses multiple layers of security from your bank, UPI, and Google and makes sure that your money is well protected from frauds. Their Google Pay Shield working 24/7 to help detect fraud, prevent hacking and verify your identity. Each transaction is secured with your UPI PIN and the app is secured with a Google PIN or fingerprint. Google Pay is now compatible with a vast majority of the Android and iOS Devices and it will come with pre-installed for the selected phones from manufacturers like Lava, Micromax, Nokia Mobile, Panasonic etc. I heard about Google Pay from my colleagues and I tried it several times. I am really satisfied with its features and instantaneous results. I also got some rewards which got credited to my bank account instantly. However, I saw some negative comments in Play Store in which the customers says that while doing a transaction the amount will be debited from the bank account and never credited to the receiver and the transaction will get canceled. This is one of the main issue I that I faced while using BHIM app. Even if it will get credit back to the account within 3-5 days it would a problem if we need that money urgently. I hope the Google people will resolve the issue soon and wishing a very successful journey for the Google Pay App.